I purchased this item from a fellow named Mike Perrotta, in 1997. At the time, he was the owner of Gridiron Collectibles. He told me that he bought the jersey at one of the National Card Shows. It is purported to be a game used authentic road jersey worn by Herschel Walker, sometime during his USFL career. I contacted Phil Wood, a noted game used jersey expert, and sent him a photo. While he told me he could not authenticate a jersey with just a photo, he said the font and lettering looked correct, and that the Generals did use Champion as their supplier at the time. The jersey also has several repair marks, which are consistent with having seen game use. I paid $750 for it. No idea what it'd go for now, but I have no intention of selling it. 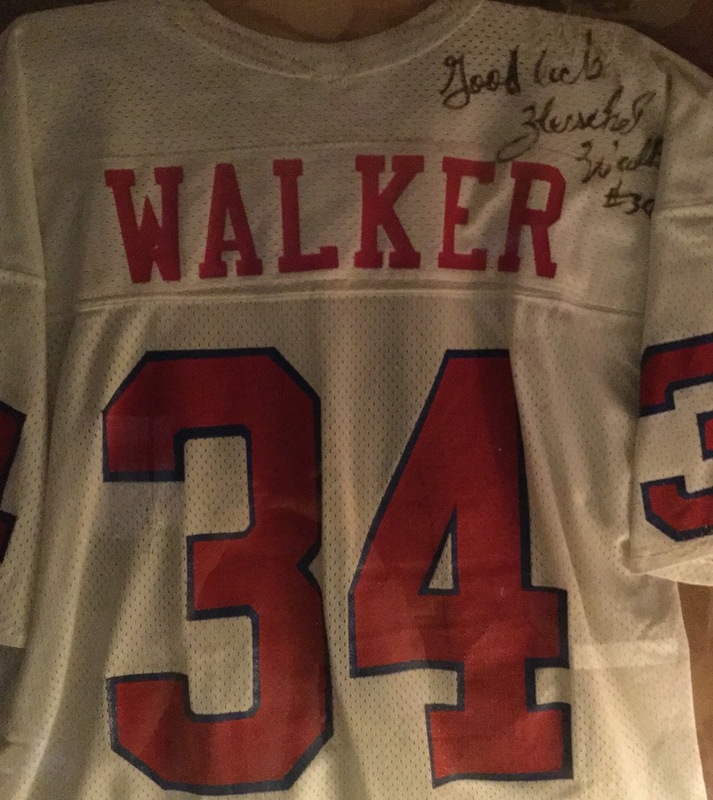 Herschel has autographed the jersey with the "Good Luck" inscription, in the upper right.